Linda Ghent was a 22 year police officer (retired). Already involved with horses, mainly in barrel racing, Linda started Star Amazing Grace Performance Horses. 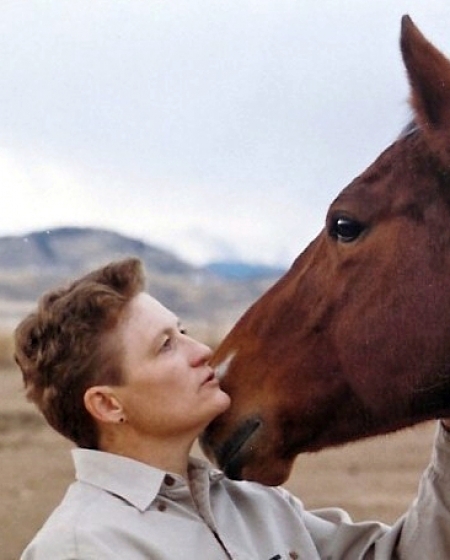 After training horses and specializing in equine sport massage, Linda decided to combine her passion for the horse and her love for photography. Her desire was to study and photograph the wild horses. Her photos are a collection of horses from North Dakota, Salt River, Arizona, Little Book Cliffs, Colorado and Sand Wash Basin, Colorado. There are also a couple of her own horses but most will be of the wild horses. Along the way there is always other wildlife needing their photos taken too. Each trip is a journey and an adventure as to whether she’ll find the horses or only rattlesnakes. Her focus is to capture a glimpse into the spirit of the horse and evoke the feeling of returning to a wild freedom.